IASSC, globally recognized Professional Lean Six Sigma Credentialing. 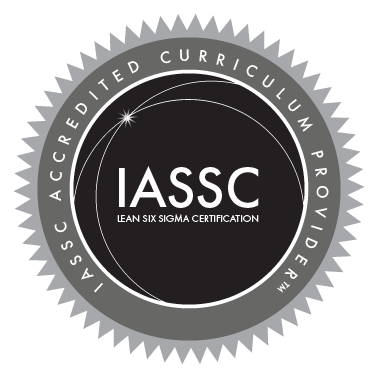 Professionals and Students from many of today’s prominent Companies, Universities and Government agencies such as Amazon, BMW, Cisco, Auburn, Pepperdine, Arizona State University, University of Texas Arlington, United States Army, Navy, Air Force and Marines rely on IASSC as a trusted source for Lean Six Sigma Professional Credentialing in their pursuit of excellence. View Partial List. Professional Lean Six Sigma Credentialing. IASSC provides a unbiased independent third-party validation of Lean Six Sigma knowledge through our globally recognized Lean Six Sigma Black Belt, Green Belt and Yellow Belt Certifications. Arrange your IASSC Certification Exams now through our On-Demand Web-Based Testing System or in one of our testing centers anywhere in the world. Available through On-Demand Web-Based testing 24/7/365 or in more than 8,000+ locations worldwide. Consider these accredited training providers. Your Source for finding Accredited Lean Six Sigma Training. 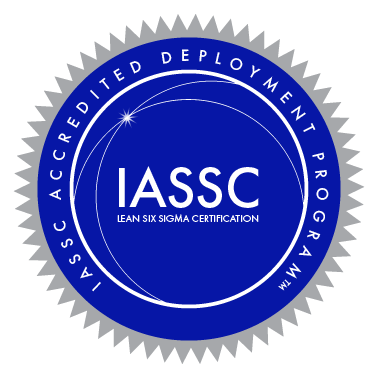 IASSC Lean Six Sigma Accredited Providers are recognized for maintaining consistent, high-quality and robust training standards in alignment with IASSC Accreditation Criteria. Whether you are searching for Elearning providers, classroom training, individual instructors, self study materials or certification preparation sources, start with the Providers who have earned our world recognized Accreditations. The IASSC Accreditations offer a unique opportunity to demonstrate your alignment to Lean Six Sigma best-practice standards. Contact us here for fast friendly support.